The Exorcist is a good movie..creepy as hell at times..but good. Can you enjoy a horror movie? No shame in that. In fact, it's better to stay away from it than daring yourself and then being a wreck afterwards. I have a friend (male, thirtysomething) who feels the same way about horror movies in general. And, as I said, he is smart enough to stay away. On the other hand, on his account he downloaded obtained The Evil Dead several times and still hasn't watched it. Yes! Although, often it comes more as an appreciation after the fact... (since being scared is not fun, but realizing that still images projected at 24fps made you feel scared is). The Plot: Two kids with amazing gifts search for their real parents while men seek to contain them to learn everything about the pheonominon known as ESP. MY Thoughts: Off hand, its a pretty cool movie. I personally think its set to a better tone than that Race to Witch Mountain movie. There were some parts that made me lauigh out loud.....like the policman being attacked by the clothes tree.....or that guy seeing a RV fly, and his helicopter flying upside-down. One thing that bothered me was they were chased by dogs, arrested by policmen, held captive by a corperate nut, and they find their parents through.....the phone book??? It was still good and funny all in all, at the very least worth a 3.5 out of 5. I enjoy them quite a bit. I mean, can you really enjoy watching a person get slaughtered? fictional or not. The Plot: After moving into a new house, Jared Grace and his family discover a field guide that opens their eyes to a world of mystical creatures around them. My Thoughts: Well, starting with the negatives, the plot is kind of done, I mean, I can't shake the Chronicles of Narnia out of my head. Not to mention some scenes are so dark its hard to see. All the same as the film moves on it greatly improves. My hopes weren't that high as it was a Nickelodeon movie, so I associated it with such shows as iCarly and Spongebob, but this is way better. There are some moments I think would reach out to anyone - - - a little girl growing up without a father, a divorcing family, work making a guy ignore his family. What? I said it would reach out, I didn't say it would make you happy!! After watching the movie, my only regret for this is that there aren't more mystical creatures. The movie mainly focuses on an attack of goblins and trolls, featuring a few others but not all that much. All in all, it pretty cool, would recommend it to anyone, and give it a solid 4 out of 5. Look forward to watching it with you some time before too long. The Plot: A comedy centered around three characters: an everyday guy who comes to believe he's a superhero, his psychiatrist, and the teenager he befriends. My Thoughts: Though most people review this as a comedy, I see it very seriously. The Defendor may be seen as mentally ill, but it's so inspirational the way he becomes an idol, stops a drug ring, and changes the course of a young girl's life. It was the first movie to actually make me cry in a long time. That clinches the rating, making this a sure 5 out of 5 movie, one I highly recommend. Britt! We have a special spoiler tag! The Plot: A handyman/martial arts master agrees to teach a bullied boy karate and shows him that there is more to the martial art than fighting. 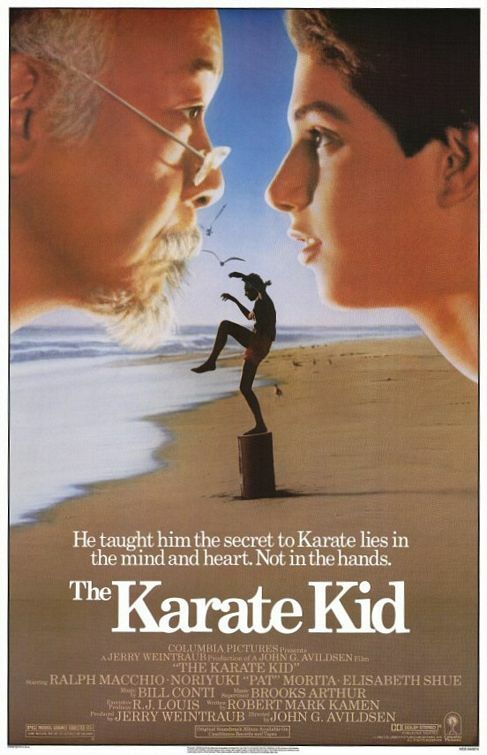 My Thoughts: When I thought about watching the karate Kid at first, I really didn't want to. I decided to give it a shot with my dad, now I owe him one! 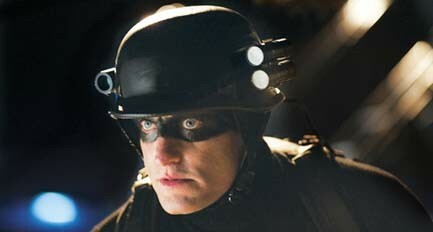 (Then again, I am getting him to try Coraline! ) A funny yet wise master who tells it like it is had me laughing through the whole thing! I am normally offset by the length of a movie, this being over 2 hours long, but I could barely notice! This is a definite 4.5 out of 5!! sorry, machine gave me trouble with buttons, thought the warning would be enough. Its modified.